For super simple slicing, there’s one name that echoes through the culinary world: Borner. You won’t believe how easy the Borner V-Slicer is to use…or all the things it can do! Slice, dice, and julienne – all without effort, and in complete safety. If you love cooking with fresh ingredients, the Borner V-Slicer is a kitchen necessity. Don’t drag out your knives and spend hours chopping the ingredients for a salad. Just use the Borner V-Slicer, and it’ll be done in seconds! 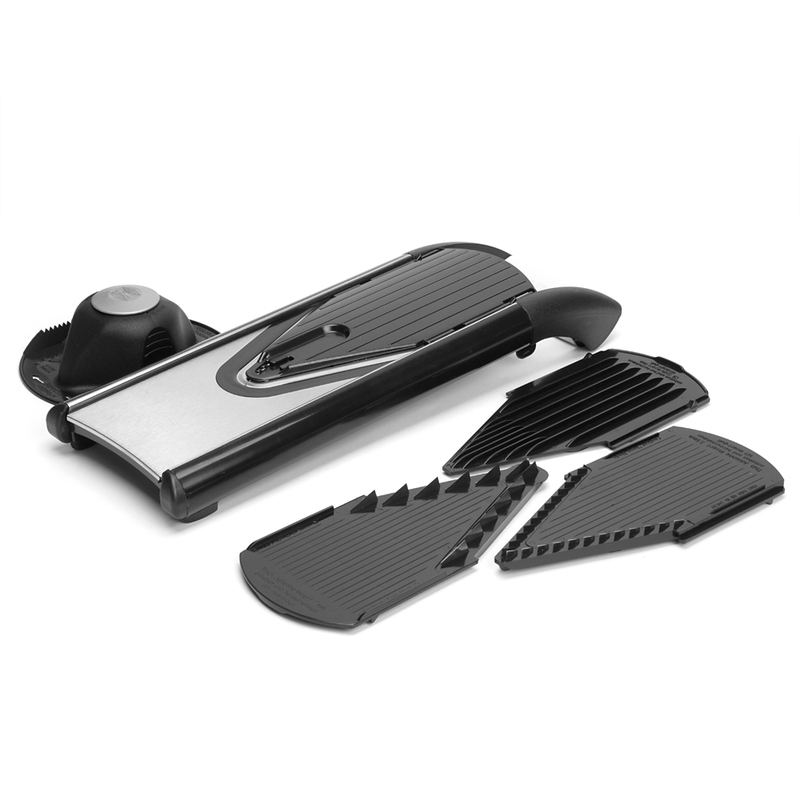 Made from sleek stainless steel, the body and blades of the mandoline are ultra-durable, so you can use it as often as you like without fear of it dulling. So what are you waiting for? Chop chop! Made in Germany from ultra- durable stainless steel. Includes a food grip to protect hands. Storage Box with childproof lock for safe, convenient storage. Dimensions: 40cm x 7cm x 14cm.